Editor's note: This article was originally published in 2016. Vintage 95 was removed because it has since closed. Sassi's was also removed as it is scheduled to close in June. Baby, it's cold outside... kind of. It may not be snowing in Phoenix, but when the thermometer hits 60 degrees, Arizonans begin to bundle in layers, with sweatshirts and jackets getting pulled out of storage bins. It is also the perfect time to grab dinner and a drink out on the patio, enjoy the glow of the fire, and check out the stars on a clear night. 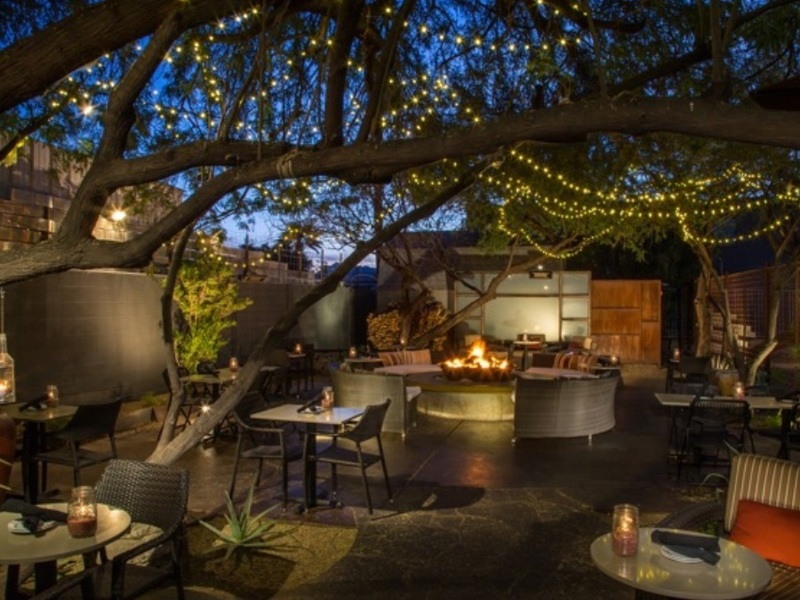 We've rounded up some of the coziest patios in the Valley to warm you up. Scroll down to check them out! Chelsea's Kitchen is an Arizona restaurant near 40th Street and Camelback. It prides itself on serving "high quality" and "honest" food. It offers a variety of gourmet salads, burgers and taco platters, along with specialty dishes like salmon, prime rib and filet mignon. The outdoor patio is beautiful. You'll feel like you're enjoying dinner in the backyard. There are trees, potted plants, hanging lights and a large fireplace to keep warm. 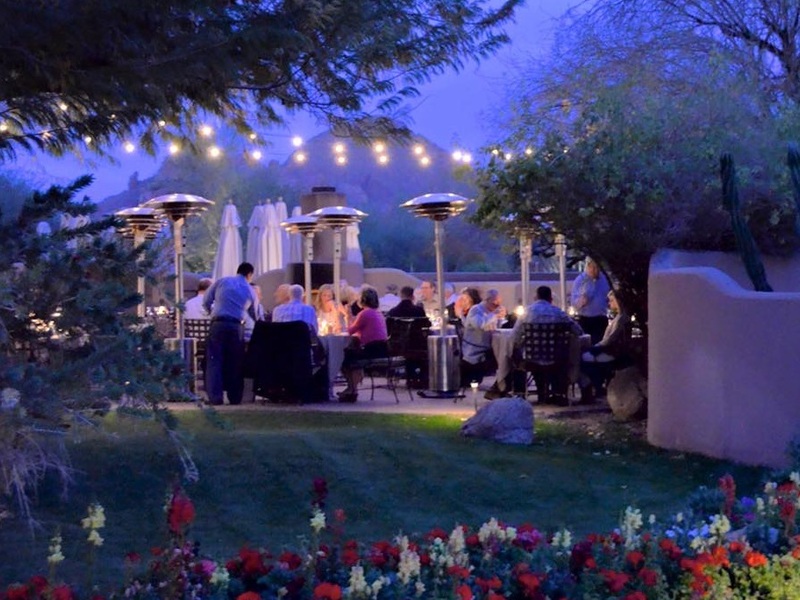 It's a perfect place for a date during Arizona's cool nights. Timo is a wood-oven wine bar. They serve everything from Spanish-style tapas and bruschetta to soups, wood-fired sandwiches and pizzas. Specialty dishes include wild king salmon or crab cake benedict. 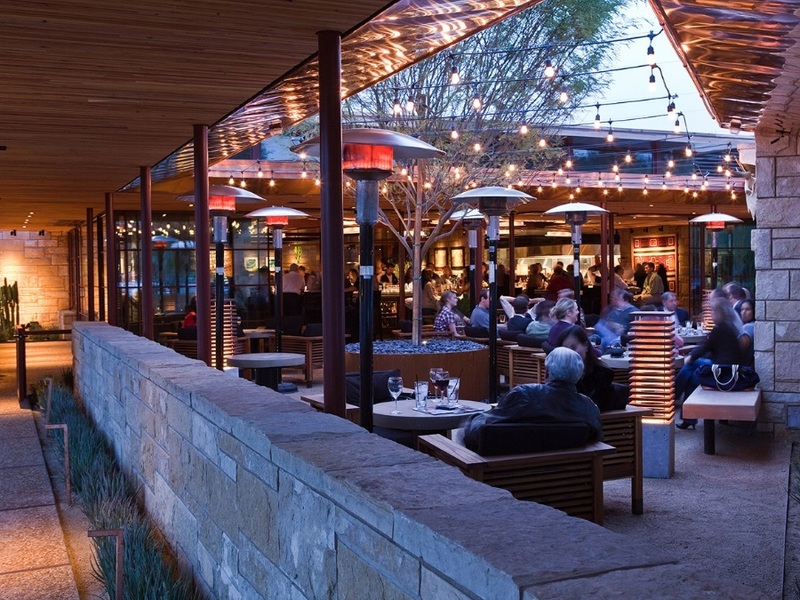 The patio has trees dotted with string lights, and a large community fire pit, making this a great winter spot. T. Cooks is the signature restaurant at Royal Palms Resort & Spa. It is led by Chef Todd Allison, and focuses on using "fresh, seasonal ingredients" for its menu. Its patio/courtyard features a water fountain, flowers with palm trees overhead. If you're looking to warm-up, there is a fireplace. Over the summer, Pedal Haus underwent a three-month renovation. Its outside patio and eating areas were completely overhauled. They now have five semi-private bungalows, each with their own fireplace and TV. Large community tables were added, as well as a gaming area. This is a great place to grab a drink with friends in a relaxed and comfortable atmosphere. Chef Justin Beckett, the executive chef of Beckett's Table (and Southern Rail), opened BT in 2010. It is all about serving delicious food using local ingredients in a friendly atmosphere. The outdoor patio at Beckett's is something special. It has a large fireplace at the focal point, while wooden archways, hanging curtains and climbing plants give this patio an inviting, warm and cozy feel. 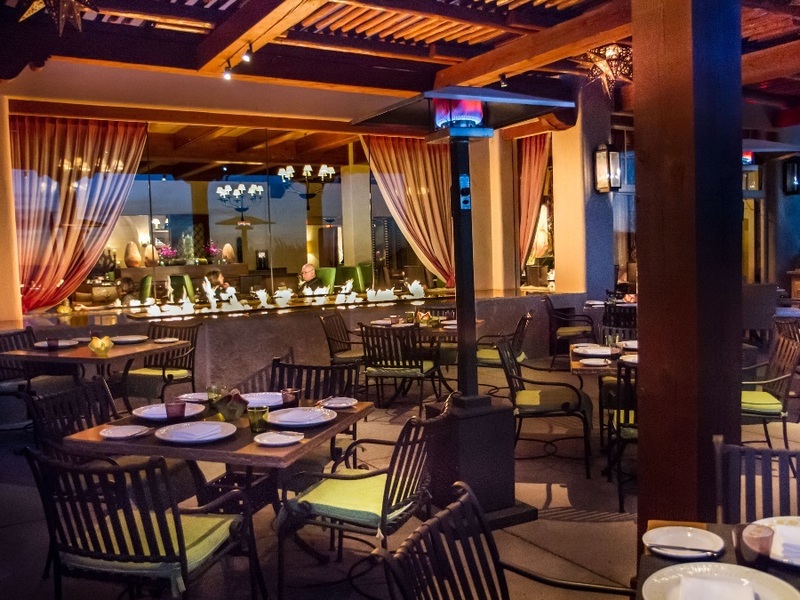 Talavera is the signature restaurant and steakhouse at Four Seasons Scottsdale at Troon North. 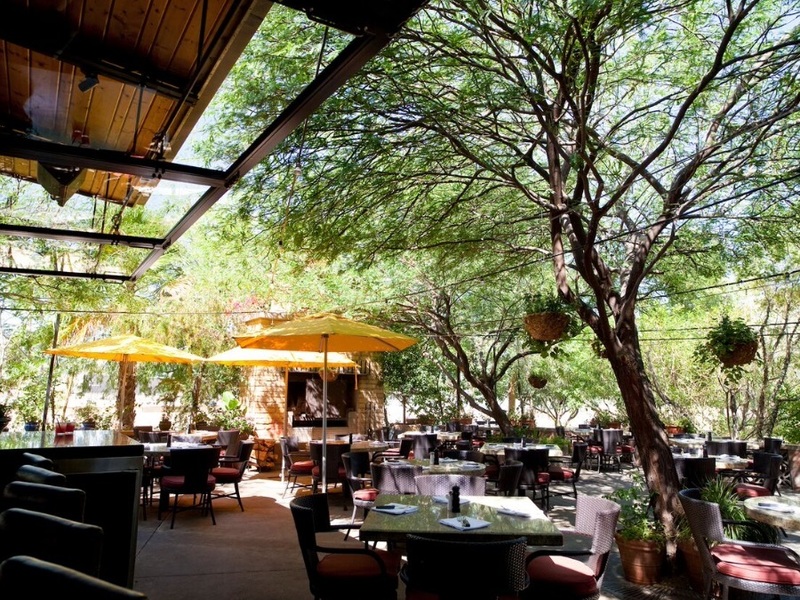 The patio provides one of the most beautiful views of Arizona's mountains any time of the year. It's a place to take advantage of during our cooler months. There is a large, narrow fireplace each night that adds a comforting ambiance to the evening. 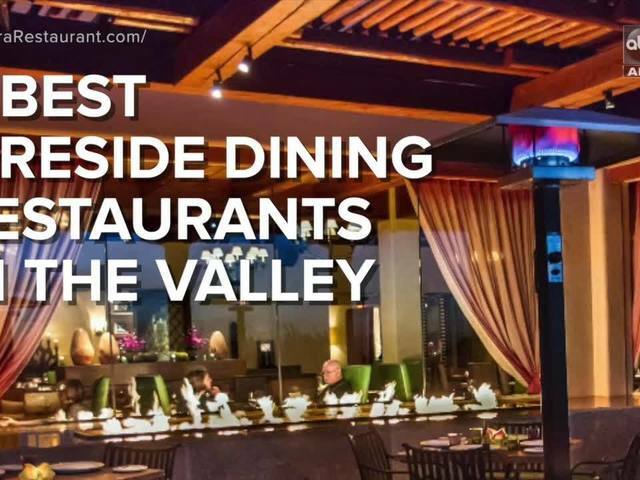 Nestled within a neighborhood of Paradise Valley, Camelback Mountain subtly peaks above the desert landscape at LON's, the signature restaurant at Hermosa Inn. Lon's serves "artful American cuisine" and has a one-acre garden on site where fruit, herbs and vegetables are grown. The patio overlooks the nearby neighborhood, which is often quiet. Look up to see the stars on a clear night. J&G Steakhouse is another Valley restaurant with a picturesque patio -- it overlooks the Phoenician resort. In the middle of the patio is a fire pit with seating around it, in case you need to warm-up on a cool night. Pictures alone make you go, "wow!" The House Brasserie is one of Chef Matthew Carter's restaurants. He's known for The Mission, Zinc Bistro and most recently, Fat Ox. 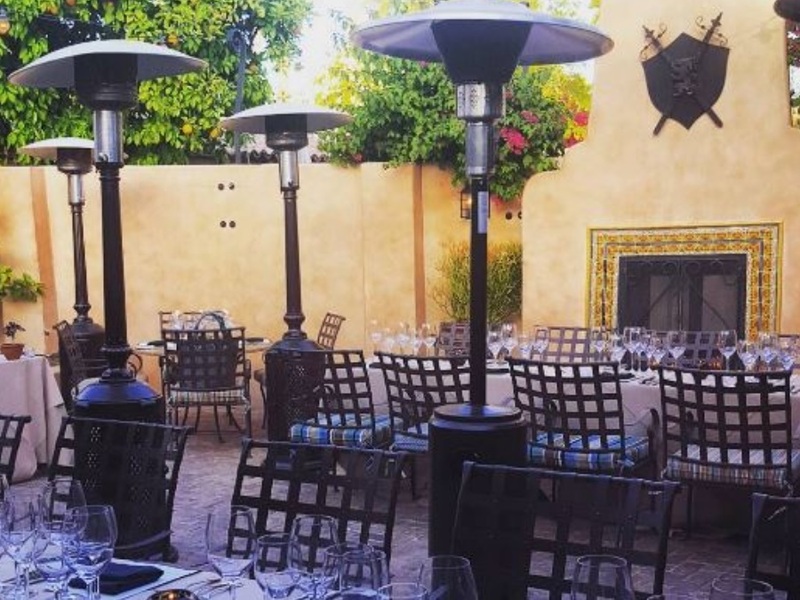 The House Brasserie is situated inside the first house ever built in Old Town Scottsdale. Seating on the patio is quaint with candle-lit tables and a brick fireplace off to the side. 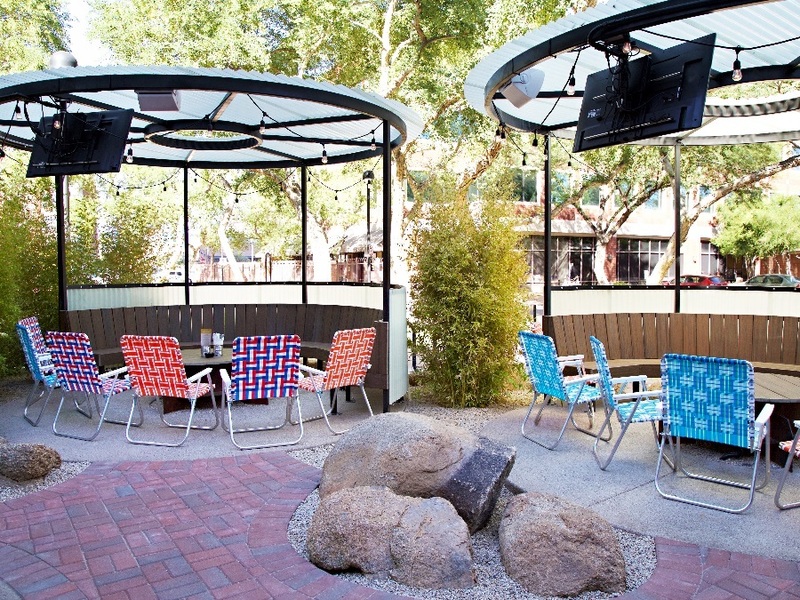 The Vig is a casual, neighborhood bar with large patios and an outdoor bar. They have four locations around the Valley. The Arcadia location features a large outdoor fireplace with community seating. The Fillmore location has a fireplace in the corner with tables nearby. Rustler's Rooste is a cowboy and western-themed restaurant and bar perched atop a butte of South Mountain. 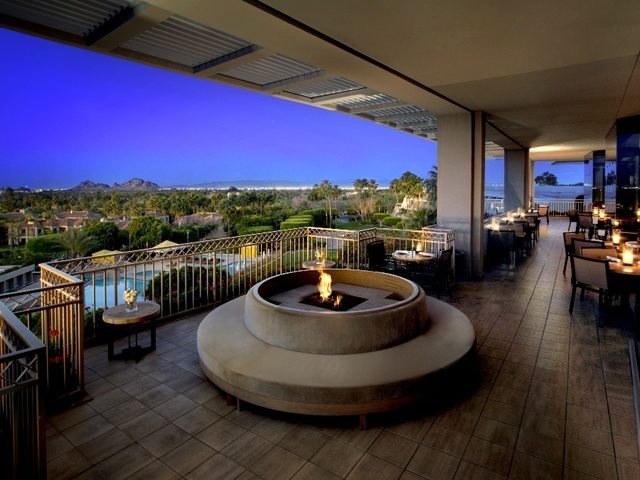 The patio overlooks the Arizona Grand Resort and the rest of the Phoenix metro area. You can sit next to the fire and take in the views. They serve steak, chicken, ribs and seafood. Don't miss saying hi to the live bull out front! Hillstone Restaurant is an upscale restaurant located just outside Biltmore Fashion Park near 24th Street and Camelback. The menu features sushi, salads and sandwiches along with specialty dishes, like oysters, trout, Ahi tuna and prime rib. The patio is spacious, yet cozy with overhanging lights, a large fireplace and seating. Nestled within a renovated 1913 bungalow, Cibo is a quaint Italian restaurant in the heart of downtown Phoenix. 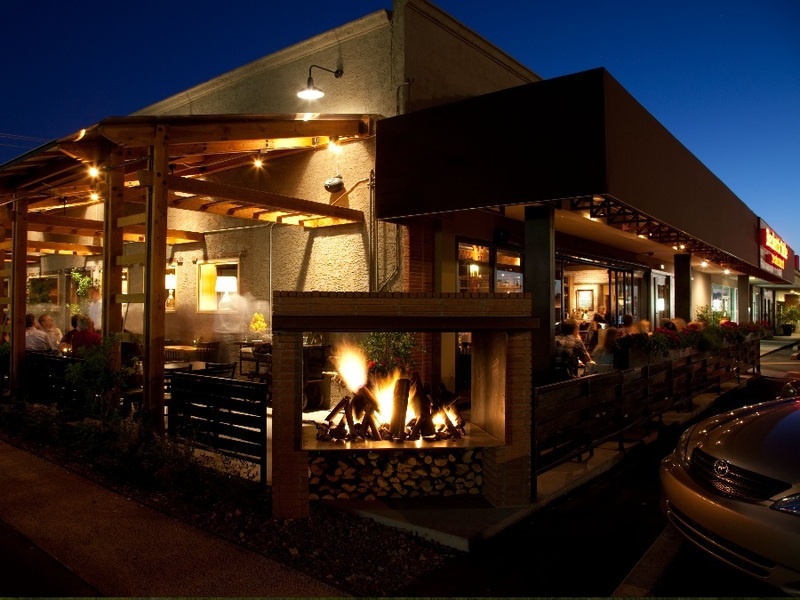 The fireplace, trees and neighborhood give this Italian eatery a genuine warm and cozy atmosphere. Not to forget that they have received rave reviews for their pizza.